Nominations for the 2019 Distinguished Alumni Awards will be accepted until June 30th, 2019. 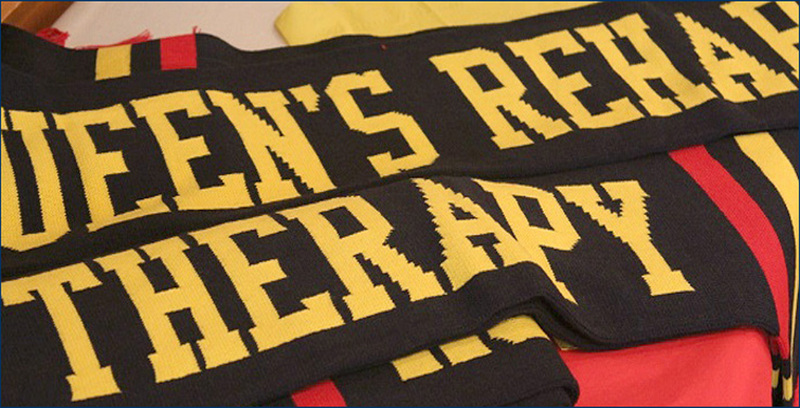 Each year the School of Rehabilitation Therapy welcomes alumni as part of Queen’s annual Homecoming celebrations. The celebrations include the School’s Annual Homecoming Brunch and Distinguished Alumni Awards presentation. In addition to honouring the outstanding contributions of the Alumni Award recipients, the Brunch provides a wonderful opportunity to catch up with friends and learn more about what is happening at the School. Everyone is welcome to attend – all alumni; former faculty and staff; current faculty, staff and students; clinicians, therapists and rehabilitation scientists working in Kingston and the surrounding areas; family and friends. • Associate Director at the Centre for Health Services & Policy Research, Queen’s University. Dr. McColl is the author of numerous peer-reviewed publications in the areas of disability policy, disability in primary care, occupational therapy, spirituality & disability, and long-term health in spinal cord injury. She is one of the 6 authors of the Canadian Occupational Performance Measure, now in its 5th edition (2014), and Research on the COPM: An annotated resource (2006). She has also written a number of books, including Introduction to disability (1998), Disability & social policy in Canada (2nd ed. ; 2006), Theoretical basis of occupational therapy (3rd ed., 2015), Interventions, effects & outcomes in occupational therapy (2010), Spirituality & occupational therapy (2nd ed., 2011), Emerging models of chronic disease management (2007) and Interprofessional primary health care (2009). Her new book, due in print in Fall 2018, is entitled, Appreciative disability studies. 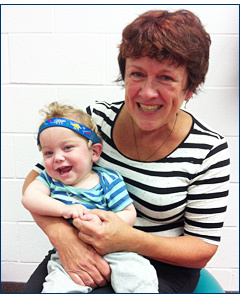 Nancy is a faculty member in the School of Rehabilitation Science and a Scientist with the CanChild Centre for Childhood Disability Research, both located at McMaster University. Nancy also continues in clinical practice, working with children and their families in the community. Nancy has worked within the field of child health throughout her career in a variety of settings: hospitals, rehab centres, outpatient clinics, homes, and preschools and she has a particular interest in school-based occupational therapy practice. Her research has focused on the development of measures, evaluation of therapy approaches, goal setting within family-centred practice and models of service delivery within schools. 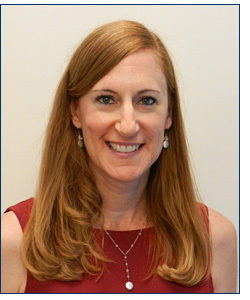 On August 1, 2014, Wendy Rheault, PT, PhD was appointed Rosalind Franklin University’s first Provost. 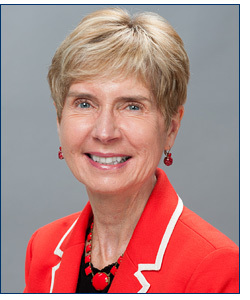 In this role, Dr. Rheault advises the President concerning University-wide issues that are central to the academic mission and vision of the University and she works closely with the President, Deans and Vice Presidents in developing academic priorities, providing strategic direction and ensuring academic accountability for the University. Dr. Rheault has been with the University for over 34 years in various roles. She was Chair of the Physical Therapy program for 10 years and in that role led several successful accreditation visits. Dr. Rheault served as Associate Dean of the College of Health Professions (CHP) for 10 years and worked with the Dean of the College to develop the MS in Physician Assistant Studies, the MS in Pathologists’ Assistant Studies and the Doctor of Physical Therapy program. In 2003, Dr. Rheault was appointed Dean of CHP and she served in this role until her appointment as Provost. Under her leadership, CHP doubled in size and all programs were successful in their respective accreditation visits with many of the programs receiving no citations. In addition, while she was Dean, the following programs were added to CHP: MS in Nurse Anesthesia, MS in Clinical Counseling, MS in Health Professions Education, MS in Women’s Health, MS in Health Promotion, Prevention and Wellness, PhD in Interprofessional Healthcare Studies and the DSc in Interprofessional Healthcare Studies. Dr. Rheault was appointed Vice President of Academic Affairs in 2008 and in that role led the development of the Alliance of Health Sciences with DePaul and the University’s interprofessional initiative. Her esteem in the interprofessional community was realized when she was named a Visiting Professor at Mayo. Dr. Rheault received her physical therapy degree from Queen’s University in Kingston Ontario Canada in 1978. In 1981, she received the MA in Curriculum and Instruction from the University of Chicago and in 1989, she was subsequently awarded a PhD in Measurement, Evaluation and Statistical Analysis, also from the University of Chicago. Dr. Rheault has published in peer reviewed journals and has presented at national and international meetings. Her areas of scholarship include the role of interprofessional education in health professions education and practice and the psychometric analysis of clinical and educational measurement instruments using Rasch Analysis. Dr. Rheault is committed to service to our community and is a former Board member for the Healthcare Foundation of Northern Lake County. Nationally, she was invited to serve on two Institute of Medicine committees and she is a Fellow of the Association of Schools of Allied Health Professions (ASAHP) and was inducted to the National Academies of Practice (NAP) as a Distinguished Fellow, and to the Physical Therapy Academy as a Distinguished Scholar and Fellow. Formerly, she served as the President of the Midwest Deans of ASAHP. Heidi Cramm graduated with a BSc in occupational therapy from Queen’s in 2000 and worked locally in child and adolescent mental health for many years. Completing her post-professional Master’s in occupational therapy from Dalhousie University in 2003, she began small-scale clinical research projects in the use of technology to support learning, which lead to the development of a specialized private practice and ultimately a drive to seek further education. She returned to Queen’s to complete her PhD in Rehabilitation Science, which earned her the Governor General’s Gold Medal for outstanding academic achievement. After a postdoctoral fellowship at Western, Dr. Cramm joined the faculty at the School of Rehabilitation Therapy in 2013. Since that time, she has had the opportunity to enact national leadership roles within the Canadian Institute for Military & Veteran Health Research (CIMVHR) and the Canadian Institute for Public Safety Research & Treatment (CIPSRT). In addition to these institutional leadership roles, Dr. Cramm has also proven herself to be an international research leader in military and veteran family health and a tireless advocate for occupational therapy. She has over 50 peer-reviewed publications, almost 200 conference presentations, and close to $20 million in research-related funding. 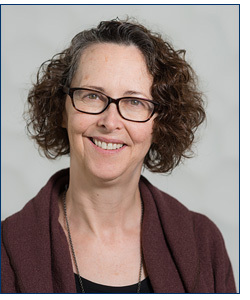 Dr. Cramm has recently been recognized by the Canadian Association of Occupational Therapists Leadership Award as well as with the Thelma Cardwell Lectureship at the University of Toronto. Janet Craik, MSc., OT. Reg. (Ont.) holds a Bachelor of Science degree in occupational therapy from Queen's University and a Master's degree in Rehabilitation Science from the University of Toronto. 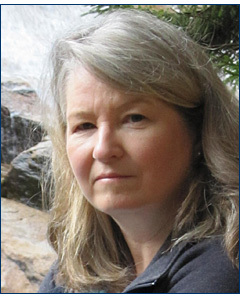 She is a subject matter expert in occupational therapy with over 25 publications, including first-authored, peer reviewed papers; book chapters and invited guest editorials. She is a frequent lecturer and invited speaker to many university and college programs; and has extensive experience presenting at regional, national and international conferences. Her progressive involvement as an occupational therapist includes many years as a front-line practitioner, manager, author and educator. She has a deep passion for advancing access to vital occupational therapy services within health and social care settings. In her current role as Executive Director for the Canadian Association of Occupational Therapists, she is the voice of occupational therapy at the national level (government, national associations and private sector). She keeps her eye on national public and private sector policy developments in health and social services, human resources developments and analyzes their impact on market trends and opportunities for occupational therapists. She is known for her collaborations with intra and interprofessional groups to advocate for health and social systems reform. She has experience in government relations and public policy, including presenting to Members of Parliament, senior bureaucrats, and has received special invites to national round tables and public forums. Recent honours and appointments include adjunct professor in the School of Occupational Therapy, Dalhousie University; the American Occupational Therapy Foundation Certificate of Appreciation and the Canadian Journal of Occupational Therapy Editorial Board. 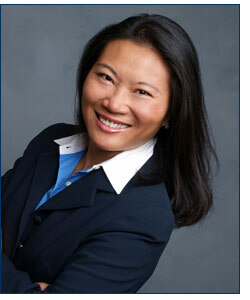 Cathie has focused her entire career in the area of clinical and functional orthopaedics. In 1973-74, she embraced the Norwegian biomechanical approach to Manual Therapy in Oslo, Norway and also studied the British and Australian methods extensively. In 1977, Cathie was chosen as one of the first Ontario-based instructors to teach post graduate manual therapy courses within the Canadian Physiotherapy Association Orthopaedic Division, and continued to do so until 1990. Her commitment to learning led her to numerous osteopathic, cranial sacral, acupuncture, biomechanical, functional anatomy, myofascial and laser courses in order to provide treatment options for those suffering acute or chronic orthopaedic and pain conditions. Cathie established Physiotherapy Kingston in 1987, and in 2009 it became Physiotherapy Kingston and Spinal Rehab Centre. In 2015 her clinic was one of three privately owned locations in the Kingston area chosen by the Ministry of Health to provide government sponsored physiotherapy care. She has mentored physiotherapy students in the past, and since 2014, Family Medicine residents have been coming to her clinic to learn how orthopaedic physiotherapists assess conditions and provide treatments. Ellen MacEachen, PhD, is an associate professor and associate director with the School of Public Health and Health Systems at the University of Waterloo. She holds a Master's degree in Rehabilitation Sciences from Queen's University and a completed a PhD in Public Health at the University of Toronto. She is co-founder of the Centre for Research on Work Disability Policy and past president of the Canadian Association for Research on Work and Health. She sits on the Academic Council of the Pacific Coast University for Workplace Health Sciences and is an Associate Editor with the Journal of Occupational Rehabilitation. MacEachen’s sociologically oriented research focuses on the relationship between work and health. She examines the design of occupational health and vocational rehabilitation systems and how they can be adapted to suit changing work and demographic realities. Her forthcoming edited book, “The Science and Politics of Work Disability Policy”, addresses social, political and political economic contexts driving state work disability policy reform in sixteen countries. MacEachen has a special interest in vulnerable workers and the growth of precarious employment conditions. In her research, she works closely with community partners and policy makers to ensure research relevance and to improve research impact. Karin has worked in a number of progressively responsible positions in mental health services at Providence Care. For over 30 years, she has had the privilege of working directly with individuals as a clinician and in leadership roles. These leadership roles have encompassed operational and strategic initiatives and involved building a dynamic occupational therapy service as well as program development, community development and collaboration with diverse partners. Throughout her career, Karin has been a strong advocate for recovery focused, community based mental health services. Karin has sought out opportunities to collaborate with service recipients, clinicians, academic partners and other service providers to design and deliver services that enable individuals to participate fully as citizens and experience a satisfying quality of life. Partnership with researchers at Queen’s University School of Occupational Therapy and Office of Interprofessional Practice has been especially important in the development of and dissemination of innovative practices such as social enterprise, transitioning legacy clients from hospital to community and the development of rural mental health services. Lynne is a Physical Therapist, an Educational Consultant, the Innovative Program and External Development Lead at the Centre for Interprofessional Education, University of Toronto (UT) and she holds an Assistant Professor appointment with the Department of Physical Therapy, UT where she has over 20 years’ experience on the Faculty of Medicine. 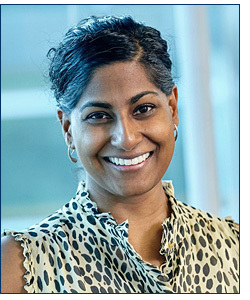 In 2015 she was appointed as the first Interprofessional Education Scholar-in-Residence at The School of Community and Health Studies at Centennial College. Lynne is widely invited as a keynote speaker for conferences, educational events and courses. She has taught across Canada, USA, Australia, Saudi Arabia and Denmark. She has been a principle investigator or investigator on numerous education initiatives and research projects totaling over $5 million. Before venturing out as a Consultant, Lynne was the Associate Director at the Centre for Interprofessional Education at UT and also served as the Associate Chair of the Department of Physical Therapy at UT. Lynne’s passion for physical therapy and interprofessional education was ignited during her seven years at Toronto Rehabilitation Institute where she was the Director of Education for twelve health disciplines. 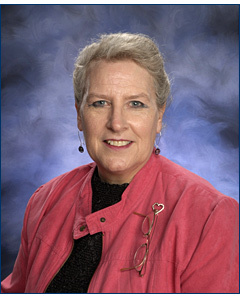 She was awarded the 2008 UT Faculty of Medicine - Helen P. Batty Award in Faculty Development for Teaching Excellence. Lynne was awarded an Honourary Bachelor Degree in Applied Studies by Humber College Institute of Technology and Advanced Learning in June 2013 for significant contributions to society and accomplishments in her field. Monica completed her physiotherapy, Masters, and doctoral degrees in the School of Rehabilitation Therapy at Queen's. She has used that foundation to build a research program that aims to keep older adults moving. She uses biomechanics to develop physical activity guidelines for adults with the most common forms of arthritis that are associated with aging. To achieve this goal, she integrates laboratory-based motion analyses to explore joint loading during exercise with advanced imaging techniques to examine joint tissues. She is an active contributor to the Ontario Physiotherapy Association. She is currently an Associate Professor at the University of Waterloo in the Kinesiology program. As an expert in spinal cord rehabilitation, Richard has worked for the past 2 decades as an occupational therapist and dedicated member of the Spinal Cord Injury Team at St Mary's of the Lake Hospital, Providence Care, in Kingston, Ontario and has made a significant contribution to the spinal cord injured population, both in hospital and in the community. He has also been a founding member of the Adult Neuromuscular Clinic at St. Mary's since 1997, providing care to those clients in our community with progressive neuromuscular conditions. In addition to client care, he has also participated in several working groups and committees to support the Physical Medicine and Rehabilitation Program at St. Mary's of the Lake Hospital. Richard has demonstrated a strong commitment to the clinical education of occupational therapy students at Queens University throughout his career as well as contributing to the clinical education of countless occupational therapy assistants. As a regular guest lecturer at Queens University, Richard is a role model for students, providing clinical education in the area of spinal cord rehabilitation, team communication skills, fieldwork preparation and wheelchair/seating. Richard is known for his skilled, compassionate and thoughtful client care, and his endlessly optimistic outlook for the future of his many clients. Neil Pearson, PT, MSc, BA-BPHE, CYT, is a skilled compassionate clinician, engaging educator, and a leader in pain management in Canada. He is a physical therapist, yoga therapist, Clinical Assistant Professor at UBC, author, and faculty member for five yoga therapy training programs. He is the first physical therapist to win the Excellence in Inter-Professional Pain Education Award from the Canadian Pain Society, and the founding Chair of the Canadian Physiotherapy Pain Science Division. 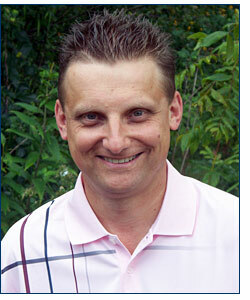 He is also a past Board member of Pain BC, and a very proud alumni of Queen's University's Physiotherapy, Phys.Ed. and Masters programs. In addition to his volunteer work, and offering workshops and pain science education through Canada and internationally, he has worked for the Doctors of British Columbia, teaching pain management to primary care MDs and specialists. Yvonne Chan, BScPT, MSc(Rehabilitation Science), MBA, is the President of Oncidium, a private Canadian healthcare company dedicated to improving employee health and wellness. As a result of her personal disability experience, she has dedicated her career to creating systems which ensure quality access to the Canadian health care system for the everyday worker. She provides expertise on the analysis, design, implementation, ongoing sustainability and enterprise service delivery of occupational health programs which include: preventative health monitoring, ergonomics, fitness for duty, medical evaluations, duty to accommodate, and safe return to work or function. As a result, she has become the trusted health advisor and national manager of occupational health programs for the Government of Canada, chartered banks, and employers. By advocating and ensuring the role of the rehabilitation professional in occupational health, Oncidium has developed a national network of private sector Occupational Therapists and Physiotherapists who are able to provide consistent quality service delivery in urban and rural communities across Canada. Sandra has demonstrated an unwavering commitment to her profession, her community and to the highest standards of clinical practice, education, and research. 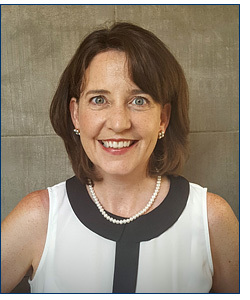 Her impressive contributions include over a decade of clinical practice as an occupational therapist; two decades of teaching at the undergraduate and graduate levels; presentations at a plethora of workshops and conferences around the country and the globe; and numerous publications in peer reviewed journals, books, and technical papers as well as membership on the OT Now editorial board. She was distinguished internationally with an Honorary Doctorate in 2003 for her contributions in setting up a rehabilitation department at the Belarusian State Medical University in Minsk, and nationally when awarded a Fellowship with the Canadian Association of Occupational Therapists in 2013. Barbara is a physiotherapist at Five Counties Children's Centre in Peterborough. While specializing in pediatric rehabilitation, Barbara has demonstrated the highest level of service to children with disabilities and their families. As an active member of her profession, Barbara is a Canadian Physiotherapy Association member, past chair, and VP of the local district of Kawartha District, Ontario Physiotherapy Association. Barbara's demonstrated leadership extends into the community while as she worked as a volunteer physiotherapist in Jamaica, taking part in the Mustard Seed project. Further, she has participated in CANCHILD (National Pediatric Research) for the past 18 years and has served in leadership positions in multiple, youth focused community organizations. Maintaining close ties to her Alma Mater, Barbara has been a clinical coordinator and preceptor for Queen's Physiotherapy interns for approximately 25 years. 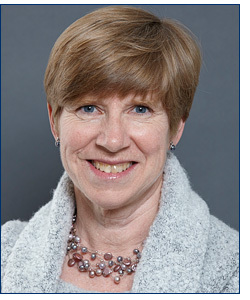 Cathy Lysack, Ph.D., O.T. (C), is the Deputy Director of the Institute of Gerontology, a Professor in the Department of Health Care Sciences (Occupational Therapy) and the Acting Dean at the Eugene Applebaum College of Pharmacy and Health Sciences at Wayne State University. Cathy's scholarship focuses on examining the social and environmental factors that influence rehabilitation outcomes for people with disabilities and older adults. Her research has led to critical empirical and theoretical insights about community engagement of older African American women and women with spinal cord injuries, and the experiences that older adults have during household downsizing and relocation. In recent years, she has become increasingly engaged in building capacity of rehabilitation providers to effectively work with older adults with mental health challenges. The strength and value of Cathy's scholarship is reflected by her 2007 induction into the American Occupational Therapy Foundation's Academy of Research. 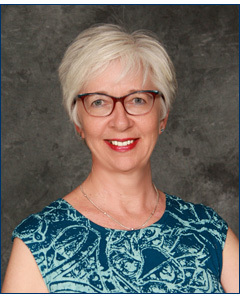 Distinguished Alumni Award (Physical Therapy) – Carolyn Emery, BSc (PT)'88 is an Associate Professor at the University of Calgary in the Faculty of Kinesiology (joint appointments in pediatrics and community health sciences). 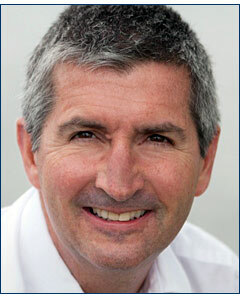 Dr. Emery is internationally recognized as a leader in the field of injury prevention. Her work has led to significant changes in public policy in Canada, especially related to the prevention of concussions and other sports injuries in children and adolescents. The primary example of this was USA Hockey (2011) and Hockey Canada (2013) eliminating body checking in 11 and 12 year old hockey players. 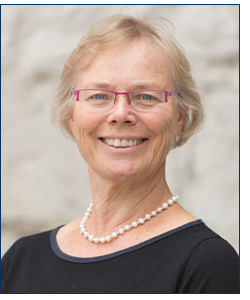 Distinguished Alumni Award (Occupational Therapy): Dr. Mary Law BSc (OT)'73 is a full Professor in the School of Rehabilitation Science at McMaster University and holds the John and Margaret Lillie Chair in Childhood Disability Research. Perhaps the two best-known of Dr. Law's many achievements are as the lead author of the Canadian Occupational Performance Measure (COPM) and as the Co-Founder of the CanChild Centre for Childhood Disability Research, a multidisciplinary research centre at McMaster University. The COPM is a client-centred outcome measure for occupational therapy that is now taught and used in clinical practice in 35 countries and has been translated into more than 20 languages. Through her work with CanChild, Dr. Law has become well known as a generous collaborator who has helped advance the career of many practitioners and academics. 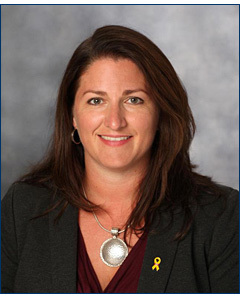 Distinguished Alumni Award (Occupational Therapy): Djenana Jalovcic, MSc (Rehabilitation Science)'08 is the Director of the International Centre for the Advancement of Community Based Rehabilitation (ICACBR) here at Queen's. ICACBR has a major reputation internationally and nationally and is recognized as one of Canada's leaders in disability and development. 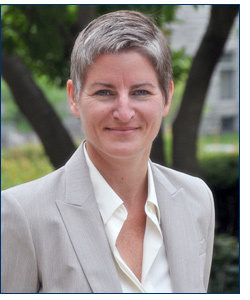 Ms. Jalovcic's talent, leadership and commitment has played a key role in the success of the Centre over the last several years and has created global opportunities for Queen's faculty, staff and students to contribute to the improvement of quality of life of the most vulnerable populations in the world. She is the Principal Investigator on two major ICACBR projects in Bangladesh, one of which is among the first in the world to explicitly link disability to maternal and child health.